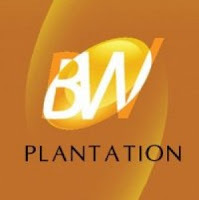 PT BW Plantation Tbk, BW Plantation (BWPT) is an Indonesian oil palm plantation company with primary business activities in developing, cultivating, and harvesting Fresh Fruit Bunches (FFB) as well as extracting Crude Palm Oil (CPO) and Palm Kernel from FFB. The company manages seven plantations, four of which are located in Central Kalimantan, two are located in West Kalimantan and one located in East Kalimantan. Candidate must possess at least a SMU, Diploma, Others or equivalent. Candidate must possess at least a Bachelor's Degree, Master's Degree / Post Graduate Degree, Human Resource Management, Psychology, Law or equivalent. At least 4 year(s) of working experience in Plantation field is required for this position.